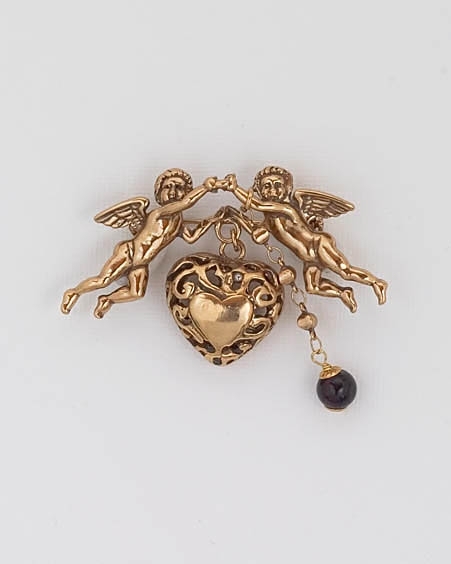 A beautiful angels and filigree heart brooch with a dangling large red garnet gemstone. Pin it on a wide ribbon and wear it also as a necklace or as a bracelet! Also makes a perfect gift.